Lil G is fast becoming a bit of a book-worm. Always picking up a book or reshuffling his collection so as not to become bored! Never content until he has read two or three stories each night. We get through a lot of books! However as we are short of storage in his bedroom we have had to split his books between his playroom (which is downstairs) and his bedroom. Which come bedtime makes for one unhappy toddler. When we were offered this sweet little Library Tray to review from Great Little Trading Co we snapped their hands off. One item of furniture we are desperate for is more storage. 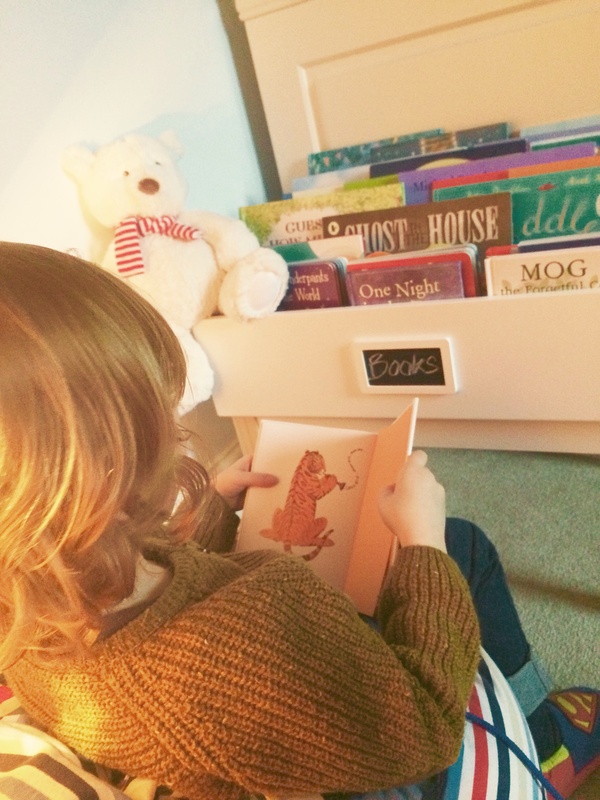 Whilst we have the gorgeous Sling Bookcase it just isn’t enough (you can read my review here). 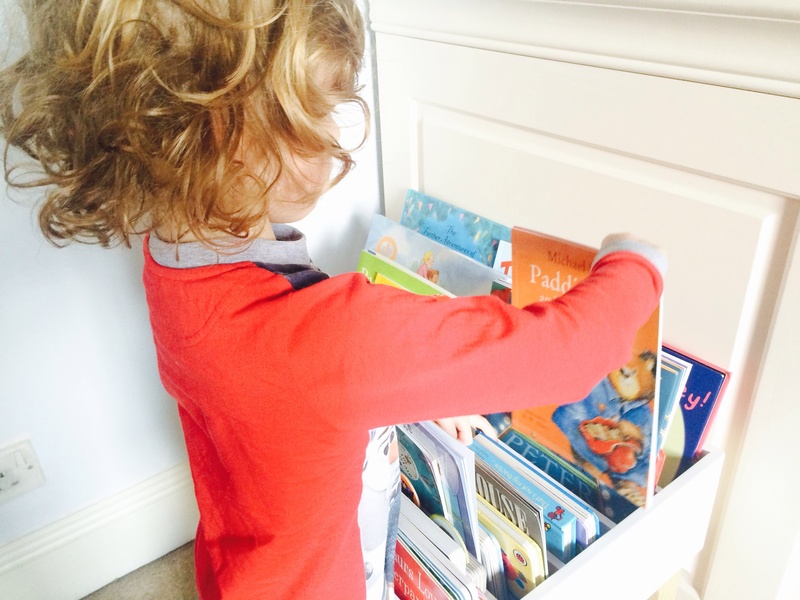 I have looked at many a book storage however most climb a wall therefore not allowing for easy access for a toddler. Whilst I like them they are just not ideal for us right now. As the Library Tray is so compact it fits perfectly at the bottom of Lil G’s bed. It’s the perfect height and it wasn’t long before I could hear him dropping his books in to place. With 5 trays you can store a whole range of books. 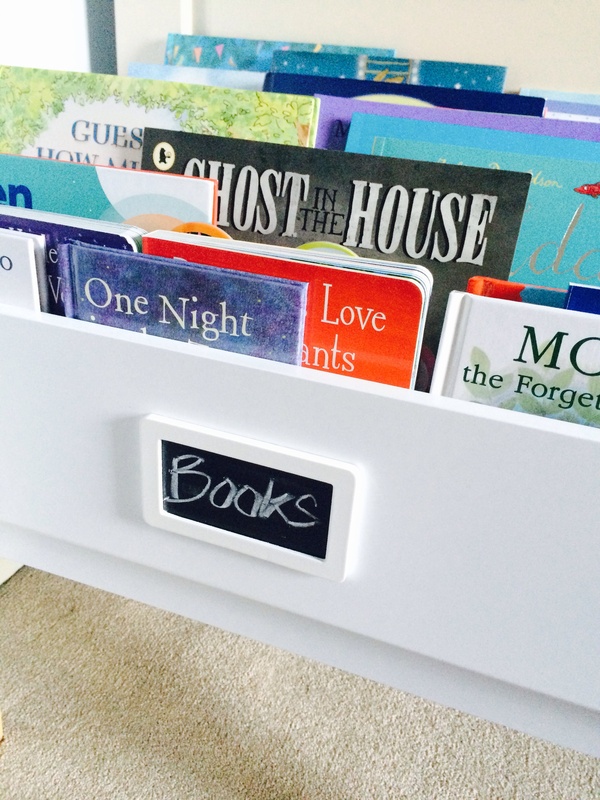 Each slot is quite roomy so you have the option of adding multiple books. Quite a lot actually. It’s quite deceiving. It really is a beautiful piece of furniture. What happened next was so sweet and is the reason I wanted to add some additional storage. He pulled up his bean bag, took a seat and started reading a story to his teddy! Oh so sweet. We officially have a library corner. I love how without much encouragement he often wanders off to pick himself a story. Shuffling through his collection. Selecting his next book to lose himself in. Is there anything sweeter than listening to your little one read? As Lil G is fast approaching big boy School it makes me so proud. As much as it scares me how fast my baby is growing up, witnessing little moments like this are pretty special and rather exciting. I’m a sucker for a chalk board so I was delighted to see the small name plate! For me it’s these extra details which make GLTC products stand out. In terms of building, this was by far the simplest. Which always helps when you have a rather excited toddler hanging around! In summary we LOVE our little Library Corner. Which may not have happened without this gorgeous Library Tray. *Disclosure: We were gifted this item of furniture free of charge in exchange for this review. All words are my own and it goes without saying that we highly recommend this product. This is fab! The perfect height for little ones. What a great idea. That’s gorgeous – and so practical! 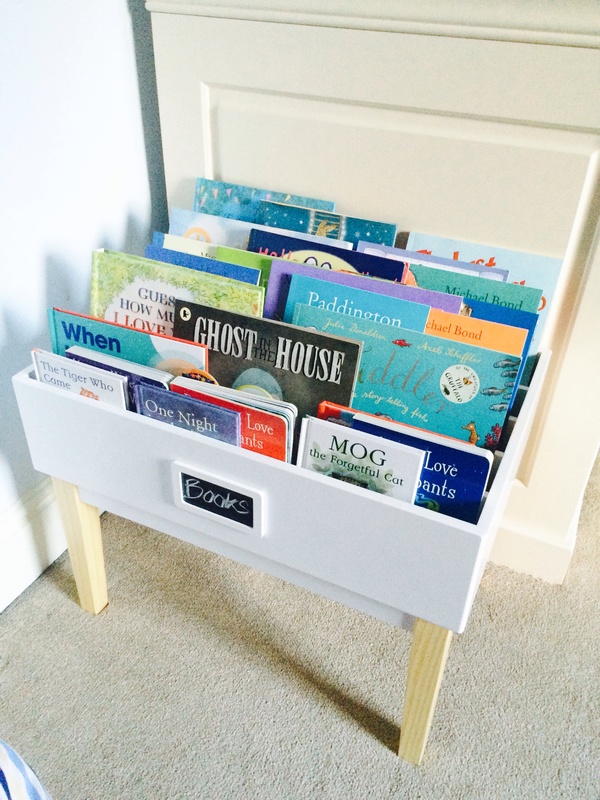 We need some book storage for our playroom so I might have to look into this!